Georgie Knox shares a couple of photos of a run-in she had with a coyote while driving to work one morning. Last week on my way to work in the early morning, a coyote darted in front of my car and I hit it. I heard a crunch and believed I ran over and killed it. 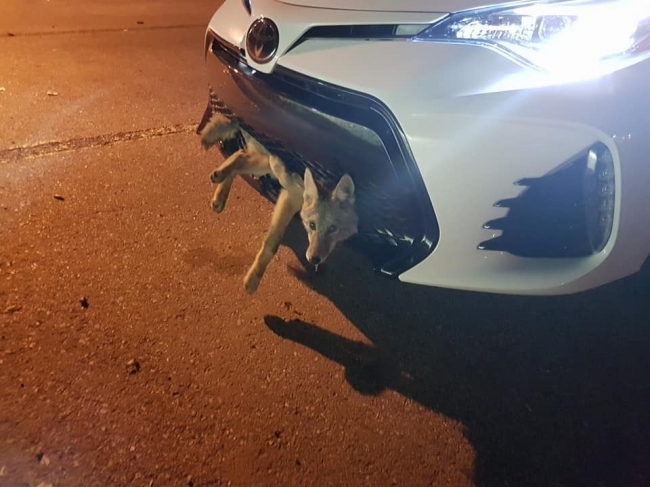 Upon stopping at a traffic light by my work, a construction woman notified me that there was in fact a coyote still embedded in my car. When I got out to look, this poor little guy was looking up and blinking at me. 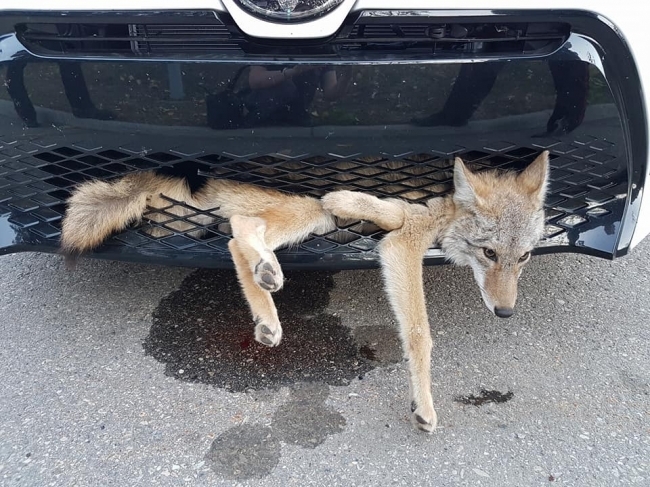 I notified Alberta fish and wildlife enforcement right away who came to rescue him. Miraculously, he was freed and had minimal injuries despite having hitched a ride from Airdrie to Calgary at highway speeds! Their biologist checked him over and gave him the good to go. They released him in Kananaskis. Clearly mother nature has other plans for this special little guy!